Search for a specific song, composer or writer – or simply enter the first line of the hymn or carol you are looking for. Songs can be filtered by book or by theme. 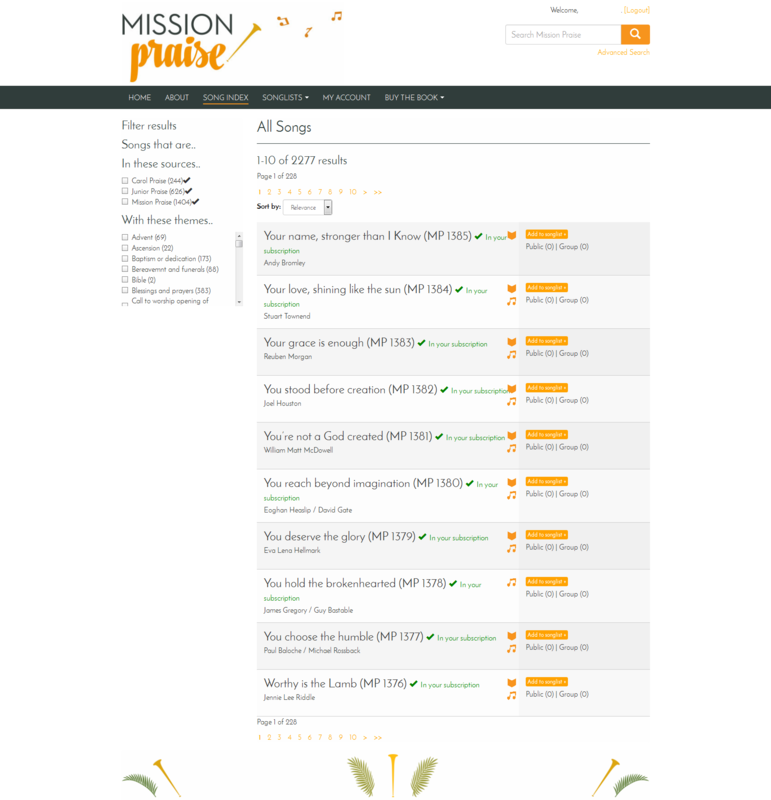 Download the words, sheet music or audio files to help your group to learn the songs. You can project the words directly onto your screen or print them. Sheet music files are available, covering all of the songs apart from those owned by Integrity. These are A4-sized PDFs, so that you can easily print an unlimited selection for your choir or music group if you have a CCLI licence. Words to hymns and carols as rich text documents to open in your word processor. Use in your service sheets, or copy and paste into your projection software. Below are examples of the word, music and audio files. Create your own songlists for your services and share them with other users by making them public. You can create themed songlists for special services such as Christmas or Easter, as well as songlist for a specific topic like forgiveness or healing. You can have individual or group access membership. 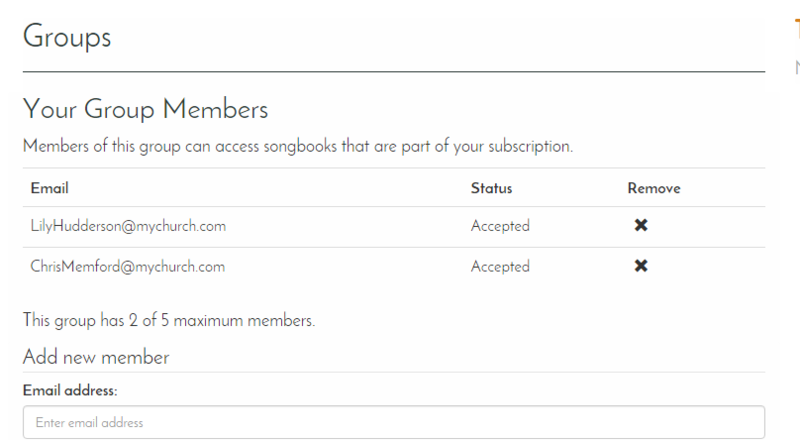 If there are several people in your group who need access to songs, a group membership allows you to all log in at the same time from different locations.